A decade after the 2008 crash, the Fed has been unable to raise rates beyond 2.5% without quaking the markets. 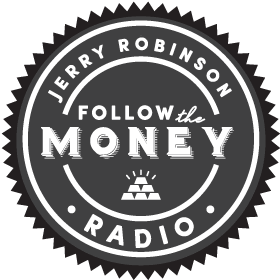 Join trading coach Jerry Robinson for a reality check on the true condition of the US economy. Also, on the heels of bitcoin's jump to $5000 overnight in China, Jerry discusses bitcoin's new Position uptrend, as detected by our proprietary Profit Trakker 2.0 software. And later, he shares an exciting cannabis stock with a growing global footprint, as well as his favorite CBD stock.